The VN-Index finished in the red on July 14 as investors’ bullishness gradually eroded during the trading session. The shares of 246 companies and four mutual funds listed on the Ho Chi Minh Stock Exchange finished at 507.34 points, dipping 0.34 percent, or 1.74 points. Of the index, 61 stocks gained, 149 fell, while 40 remained unchanged. Liquidity on the city bourse increased by 15 percent over the previous session as trading volume reached 53.2 million shares, valued at VND1.58 trillion. Dong Hai Joint Stock Company of Ben Tre (DHC) lost 14.78 percent to end at VND19,600. The State Securities Commission of Vietnam allowed the company to issue 4,999,969 additional shares to increase its chartered capital to nearly VND150 billion. 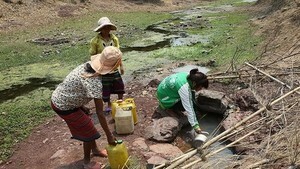 The shares will be sold to its current shareholders at a price of VND10,000 per share at a ratio of 2:1. Chuong Duong Beverages Joint Stock Company (SCD) fell 4.95 percent to VND28,800. Ha Tien Transport Joint Stock Company (HTV) declined 4.85 percent to VND21,600. Saigon Thuong Tin Commercial Bank or Sacombank (STB) and Saigon Securities Inc. (SSI) remained in the top two positions of most active share by volume with 2.98 million shares and 2.28 million shares changing hands respectively. Ocean Group Joint Stock Company (OGC) was next with 2.08 million shares being traded. House Viet Nam Joint Stock Company (NVN) shot up 4.97 percent to VND38,000. Hanoi-based Vinafco Joint Stock Corporation (VFC) climbed 4.95 percent to VND15,000. From July 13 to September 13, Nguyen Thi Thu Ha, member of Board of Directors of Vinafco Joint Stock Corporation (VFC), registered to sell 50,000 shares, sending her holdings to 77,790 shares, for family expenses. From June 28 to 30, Nguyen Thi Thu Hien, sister of Nguyen Thi Thu Ha - member of Board of Directors of Vinafco Joint Stock Corporation (VFC) registered to sell 10,000 shares and sold 2,000 shares. From July 13 to September 13, Ms. Hien will sell 8,000 shares for family expenses. Hoang Long Group (HLG) added up 4.85 percent to VND36,500 from VND34,800 yesterday. From May 10 to July 9, Pham Thuy An, daughter of Pham Phuc Toai – chairman of Hoang Long Group (HLG), sold 200,000 shares, reducing her holdings to 805,000 shares, for personal expenses. From May 13 to July 5, Chau Minh Dat, member of Board of Directors of Hoang Long Group (HLG), had registered to sell 24,000 shares and sold 14,000 shares. 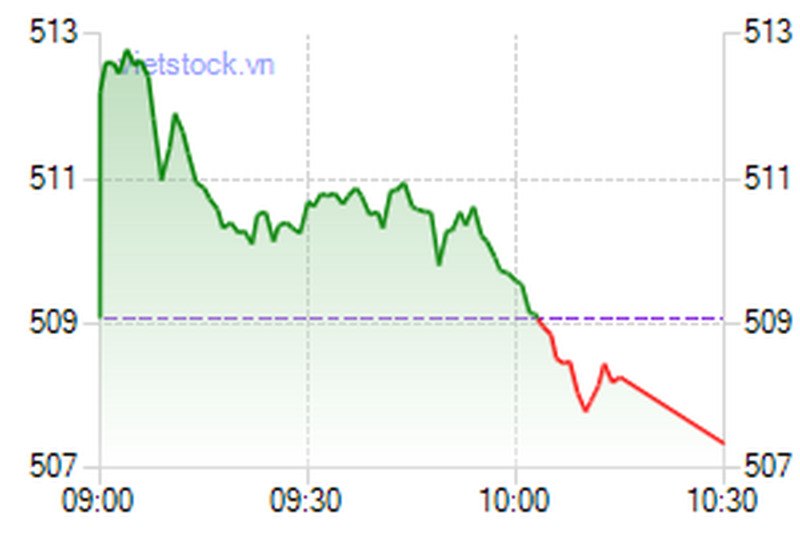 In contrast, Hanoi-based HNX-Index rose 0.52 points, or 0.32 percent, to close at 162.42. Around 52.27 million shares, worth VND1.46 trillion, were traded. The UPCoM-Index of unlisted stocks sank 0.06 points to 57.8. A total of 472,007 shares changed hands at VND8.11 billion.